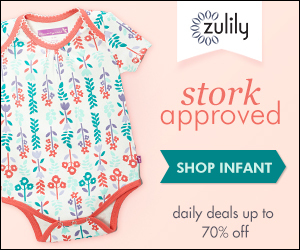 To quote our toddler, “Wow! Wow! 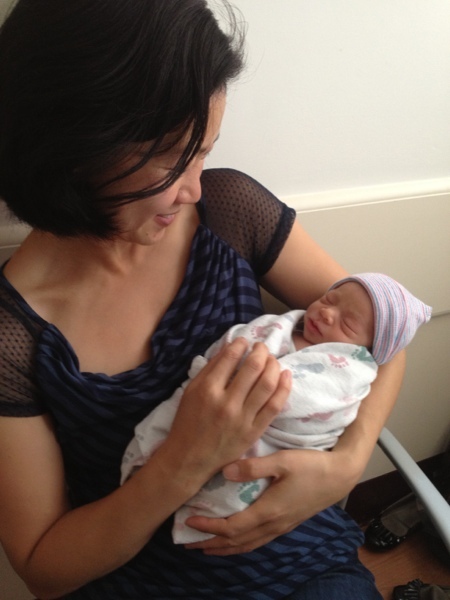 Wow!” My very dear friends Nicola and Victor just welcomed their first baby, and I was thrilled to meet her. I didn’t have a lot of time to pull together a gift, but I wanted something special, so I made this “bouquet ” out of onesies, bibs, and receiving blankets. I also brought some fruit and pastries from Whole Foods – goodness knows anyone eating hospital food will appreciate something fresh. I know, I know, I had just sworn off appliqued onesies, but I had to give in just one more time, since I finally learned that the baby is a girl! 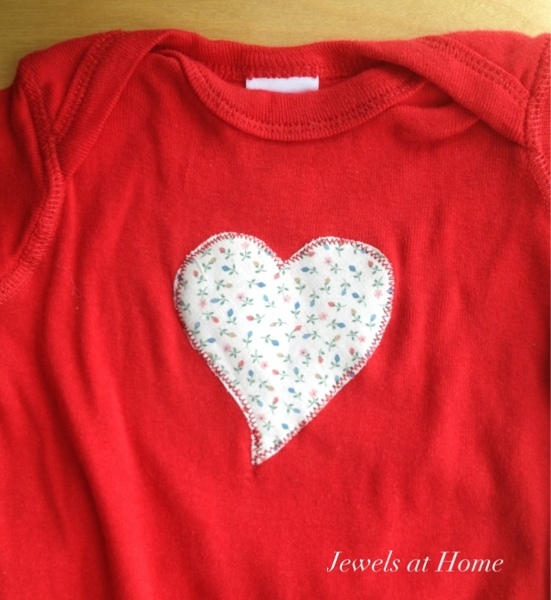 I had a few blank shirts left over from the DIY onesie party, so I quickly made some with a little girl in mind. “Quickly” is the key word here, and our toddler was “helping,” so I apologize for the cupcake, which looks a tad squashed. Hopefully, baby won’t mind. Everyone will be too busy looking at her sweet face, anyway. 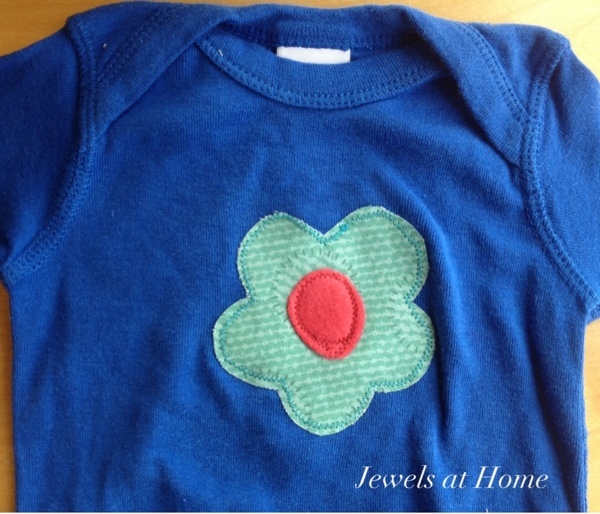 Simple flower applique onesie for a baby girl. The center is fleece from another project I’ll post soon! 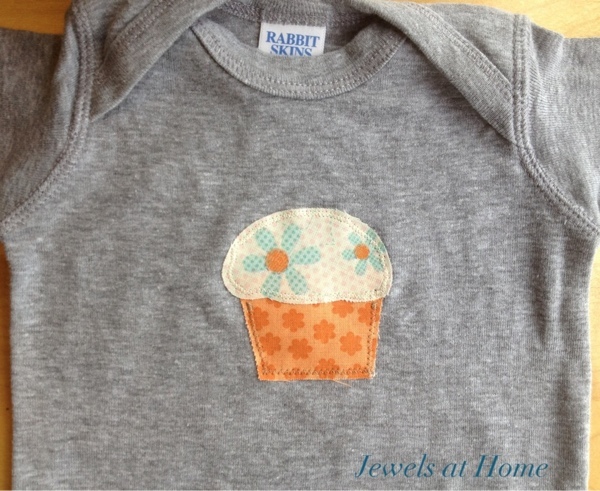 Cupcake applique onesie. A bit lopsided, oops! 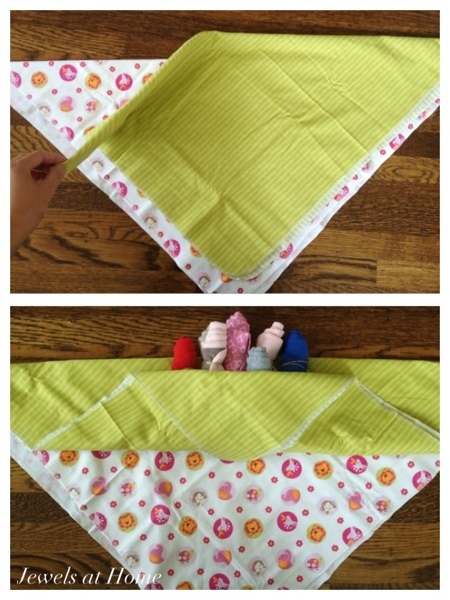 The technique for rolling the “flowers” is similar for the bibs, onesies, and blankets. Put an elastic band around each flower, to hold it tight. Rolling bibs, onesies, and receiving blankets to make flowers for a bouquet. Roll the blankets around the flowers, and tie with a ribbon. 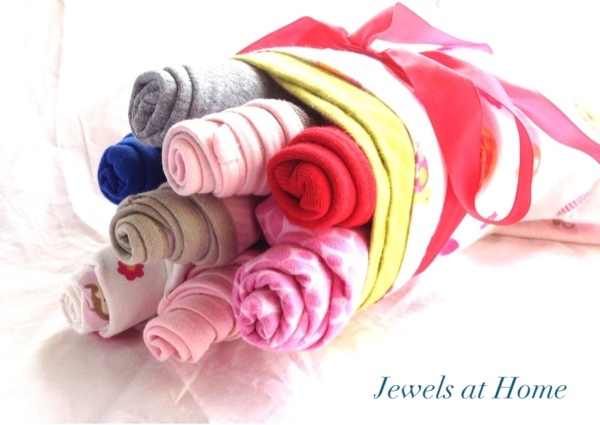 Wrapping bibs, onesies, and receiving blankets into a bouquet. Here are some pictures of the finished bouquet. I think I could have fussed with it to make it a little neater, but I’m pretty happy with the overall result. 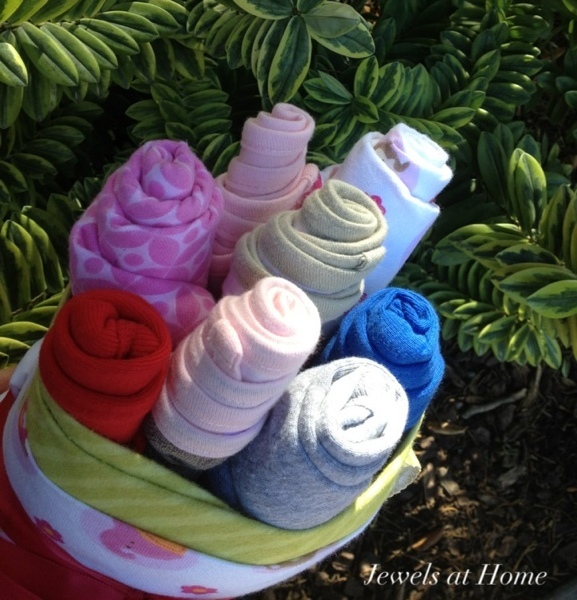 DIY bouquet of onesies, bibs, and receiving blankets. 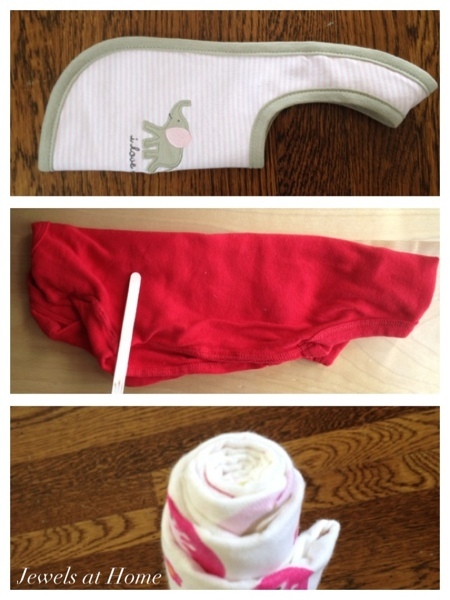 DIY bouquet of onesies, bibs, and receiving blankets. It looks good next to this random bush outside the hospital. I’ll add some leaves next time. And most beautiful of all, here’s the tiny recipient of this big bouquet! Welcome, little one! I look forward to watching you grow and sharing many “mommy moments” with Nicola. Just remembering this. We loved this bouquet!